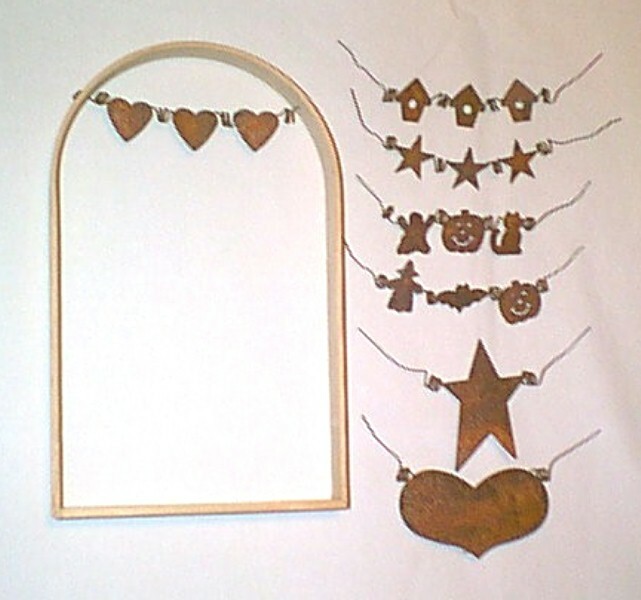 The 6 X 10 size comes in the following 7 designs: 3 Hearts, 3 Birdhouses, 3 Stars, Ghost/Jack/Cat, Witch/Bat/Jack, Primitive Star, and Primitive Heart. The price of the finished handle is 5.85. You may purchase the ready-to-insert "set-up" (also pictured to the left) for 2.85. The 8 X 12 size comes in 8 designs. Beside each design listed below is the price of the finished handle/price of the "set-up" only. 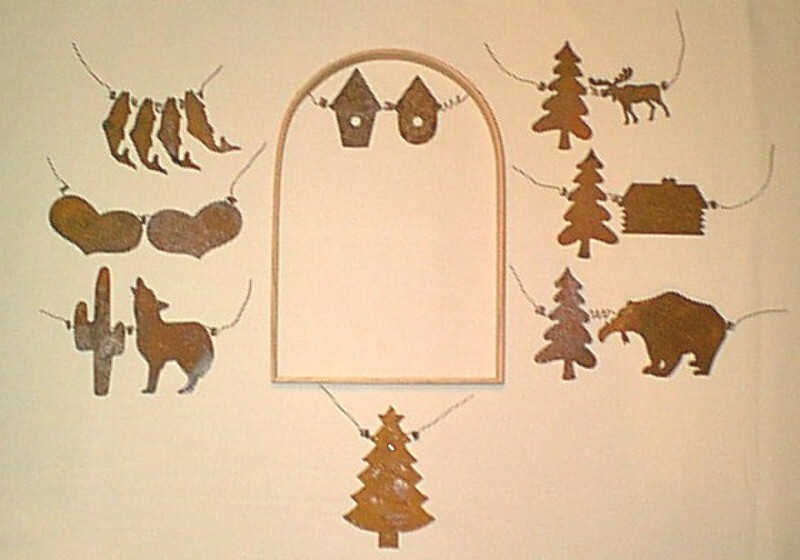 Birdhouses 5.95/3.50, Four Fish 8.95/6.50, Primitive Heart Duo 5.95/3.50, Southwest 8.95/6.50, Tree & Moose 7.45/5.00, Tree & Cabin 7.45/5.00, Tree & Bear 8.95/6.50, and Christmas Tree. 5.95/3.50. The 10 X 14 size comes in 6 designs. Beside each design listed below is the price of the finished handle/price of the "set-up" only. 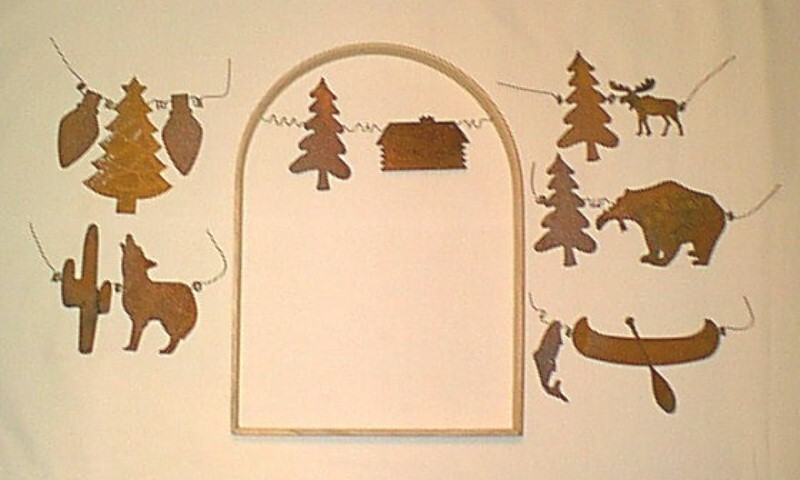 Tree & Cabin 8.00/5.00, Christmas Tree & Bulbs 9.50/6.50, Southwest 9.50/6.50, Tree & Moose 8.00/5.00, Tree & Bear 9.50/6.50, and Fish & Canoe 9.50/6.50. The 12 X 14 size comes in 4 designs. Beside each design listed below is the price of the finished handle/price of the "set-up" only. 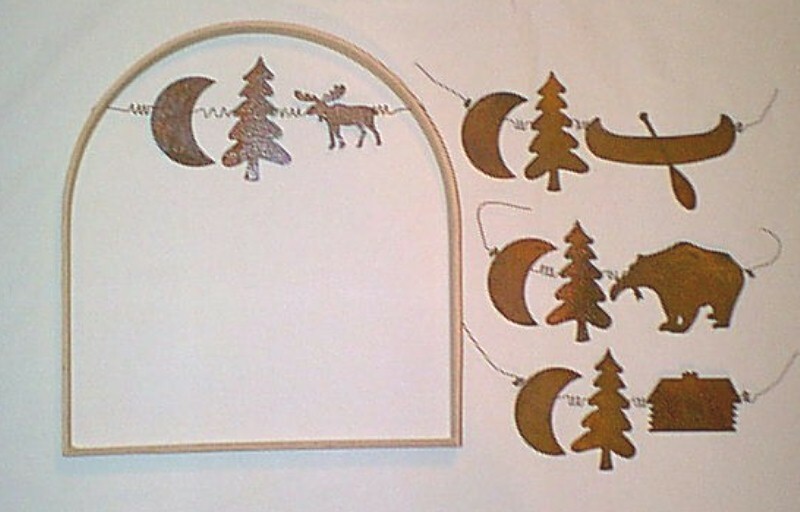 Moon/Tree/Moose 9.80/6.50, Moon/Tree/Canoe 12.80/9.50, Moon/Tree/Bear 11.30/8.00, and Moon/Tree/Cabin 9.80/6.50. The 12 X 10 size comes in 2 designs. Beside each design listed below is the price of the finished handle/price of the "set-up" only. 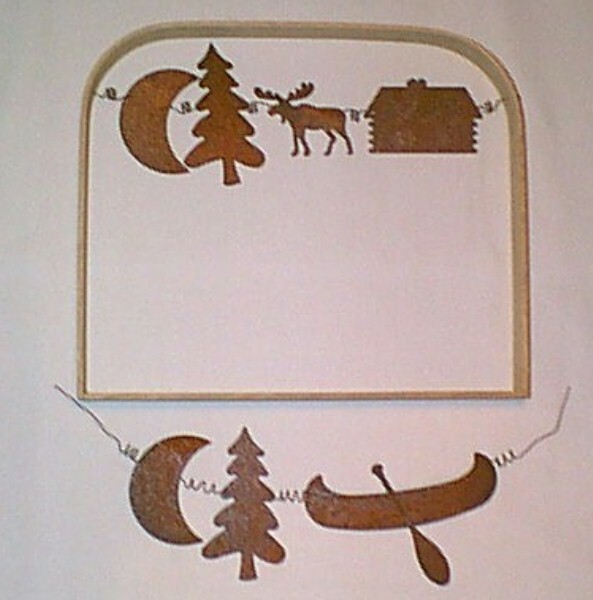 Up North 11.25/8.00, and Moon/Tree/Canoe 12.75/9.50.